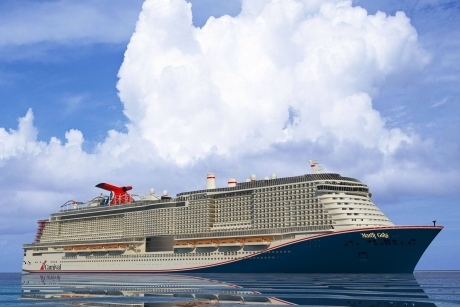 Carnival Cruise Line’s new ship, Mardi Gras, is now accepting bookings for its inaugural schedule for 2020, which will see it debut in Europe. The ship will offer a number of six to 15-day sailings, visiting top destinations throughout Europe before arriving in New York and then on to Port Canaveral for departures in the Caribbean. The Mardi Gras itself will offer plenty to keep guests occupied during days at sea, including a Serenity adult-only retreat, a large-scale waterpark and what is believed to be the world’s first rollercoaster at sea. A nine-day maiden voyage from Copenhagen to Southampton, sailing from 31st August to 9th September 2020, will call at ports in Sweden, Norway, the Netherlands and Belgium, among others. See remnants of the Berlin Wall when you stop in Kiel, visit the Tjoloholm Castle in Gothenburg or enjoy the sights and smells of the Keukenhof Gardens in Rotterdam. A 14-day trans-Atlantic crossing from Southampton to New York, from 9th to 23rd September 2020, will stop at Las Palmas, Santa Cruz de Tenerife, Funchal and Ponta Delgada, with plenty of opportunity to explore the Canary Islands and to enjoy days out at sea. After the ship’s inaugural sailing in Europe, it will sail year-round Caribbean departures from Port Canaveral. Following a eight-day Caribbean cruise departing on 16th October 2020, Mardi Gras will kick off its seven-day programme from the Space Coast on 24th October 2020, offering two different three-port, seven-day itineraries and alternating weekly to the eastern and western Caribbean. Eastern Caribbean cruises will visit San Juan, Amber Cove and Grand Turk while Western Caribbean sailings will stop in Cozumel, Costa Maya and Mahogany Bay. Speaking of the new sailings, Christine Duffy, president of Carnival Cruise Line, said: “For Mardi Gras, we’ve developed some truly exciting and diverse itineraries that will provide our guests with opportunities to experience and explore top destinations in Europe and the Caribbean. For every 15 full fare guests the value of the 16th full fare berth is credited to the group booking.